The Tyrone All County Football leagues got off to a mixed start for our senior teams yesterday with the Senior team running out convincing winners over Donaghmore. The reserves however fell short by the narrowest of margins in an excellent contest. 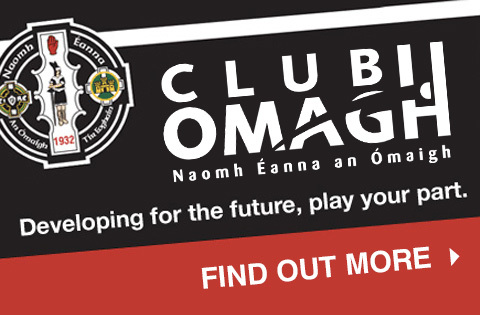 An even start to the game saw the teams swap a number of early points as Omagh led 0-3 to 0-2 after 15 minutes with Cathal McCarron, Conor O’Donnell and Thomas Clarke all finding the target. 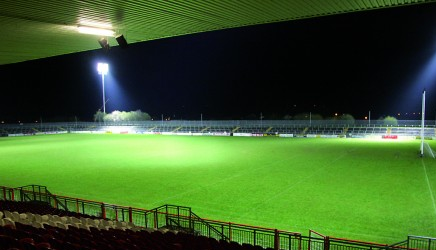 However, aided by some tenacious defending by Conor Hannigan and Danny Mullan, the boys started to take control of the game and despite the loss of Ronan O’Neill due to injury, further points by O’Donnell, Clarke, Conan Grugan and Ryan McBride saw St Enda’s in at the short whistle leading 0-07 to 0-04. Into the second half and Omagh took absolute control, with Niall McGinn showing great accuracy on kick-outs and the Donaghmore restarts being put under increasing pressure. With O’Donnell showing great accuracy, a rare Conor Meyler right footed effort and McCarron weighing in with a couple of points, the home team stretched clear. A Dean O’Neill point from a half goal chance and further scores from Conan Grugan and substitute Bradley Fox with his first touch of the ball, the game was well done and dusted before referee Eamon McHugh called a halt to proceedings. With a number of senior players to come back into the panel, strong performances from Aidan Clarke and Damian McGuigan and 19 year old Eoghan McNamee making his senior debut, manager Carl McCabe and his team can be quite content with this start. A fairly young reserve team will be kicking themselves after spurning countless chances to win this game. A decent start saw the boys move 0-3 to 0-2 ahead, however a purple patch for the visitors saw them move 4 clear before a brilliantly finished Eoghan McNamee brought the game back into the melting pot, Donaghmore leading by a point at half time, 1-7 to 1-6. In the second half, Donaghmore just kept their noses in front due to some particularly poor shooting from the home team. However, coming into the last few minutes, Eamon McMahon was denied a match winning goal with a super save from the Donaghmore goal keeper. Two final chances presented themselves with a couple of long range frees, however both went wide and the final whistle sounded with a point separating the teams. Despite the defeat, there were many good aspects to the game for Aidy Lloyd and Paul Tierney to work with going forwards.